The revelations in Passive House Plus issue 24 about failed external insulation retrofits in the Fishwick area of Preston have been followed up by UK national media, putting pressure on Ofgem, the electricity and gas regulator, to make more effort to help those affected. 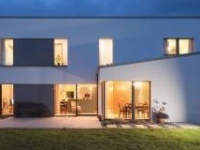 MBC Project has warned that poor quality installation risks undermining confidence in the growing external wall insulation (EWI) industry — seen as crucial for bringing Ireland’s housing stock up to modern standards of energy efficiency. 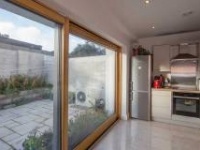 Dublinbased MBC Project supplies KABE Therm external insulation systems, which include EPS and mineral wool boards. A disastrous failed external insulation contract run under a government energy saving scheme has affected up to 390 homes in Preston with water penetration, mould and damp. In the first in a new series of technical articles on some of the key technologies in sustainable building, John Hearne makes the case for wrapping buildings in an external insulation layer, and describes some of the main issues to watch out for. Leading external insulation supplier Hammond Roof & Energy has launched a new technical roadshow series promoting the Soltherm external insulation system – at a live passive house construction site in Carlow. 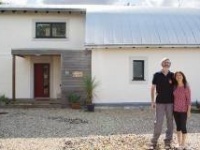 If you’ve ever wanted to take a passive house for a road test, one holiday letting on the coast of west Cork may be too good an opportunity to turn down. The aptly named Sea Spray – an as yet uncertified Enerphit upgraded bungalow – is a bona fide triumph in the face of adversity. Britain and Ireland’s post-war social housing blocks are seen as ugly and uncomfortable, and suffer from high energy bills, damp and mould. But three ambitious renovation projects show the answer doesn’t always lie in demolition. 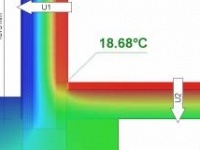 Baumit will showcase an "innovative" new external thermal insulation technology on 5-7 March at EcoBuild 2013 in Excel, London. The Baumit OPEN external wall insulation (EWI) system is a thin coat render system for solid wall construction. With over twenty years of design behind him, architect Martin Meyer has tackled plenty of big projects in his time, but his first home renovation challenge – to turn a dank 19th century red-brick house into a bright energy efficient home – was still eye-opening. Lenny Antonelli reports.